Dedicated to the transport of combat forces, medical equipment, and various supplies, the C141 Starlifter is the first ever aircraft to come equipped with systems that are compatible with the 463L Material Handling System, allowing for the off-loading of 68,000 pounds of cargo, refueling while in mid-air, and reloading a full load in less than an hour. It achieved its claim to fame when it extracted more than 500 American POWs out of North Vietnam, earning the moniker “Hanoi Taxi.” The C141 Starlifter has also served in the Persian Gulf War and in various humanitarian efforts around the globe. As a member of the Air Mobility Command, this Lockheed aircraft has a variety of missions under its belt, including the transport of paratroopers, injecting troops via airland or airdrop, and extraction missions. A single look at the C141 Starlifter will tell anyone that it is an aircraft to be reckoned with. Its impressive looks provide a glimpse of its colorful history and excellence in service. 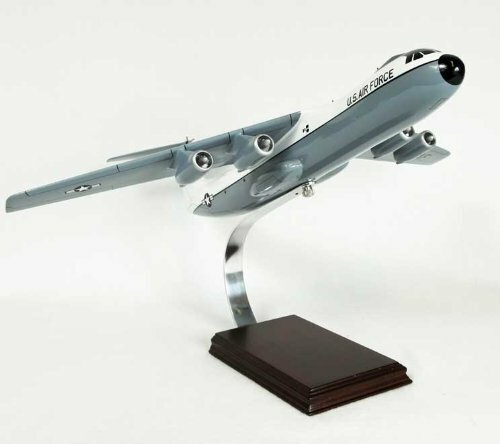 Keeping with the promise of “no man left behind,” the C141 Starlifter is definitely a vital addition to any model aircraft collection. Boasting versatility in the air, it also exudes an air of valor that makes it a striking piece of historical memorabilia that can be displayed anywhere in your home or office.